New Mexico Appleseed is a nonprofit organization responsible for the creation of the Parade of Playhouses, an annual design event aimed to raise funds for hunger, child malnutrition, family homelessness and poverous families in New Mexico. The nonprofit was instrumental in passing legislation for children to receive free and reduced meals in local schools, which has proven effects on student academic performance. The proceeds of the design competition and subsequent auction are utilized to assist in those issues. 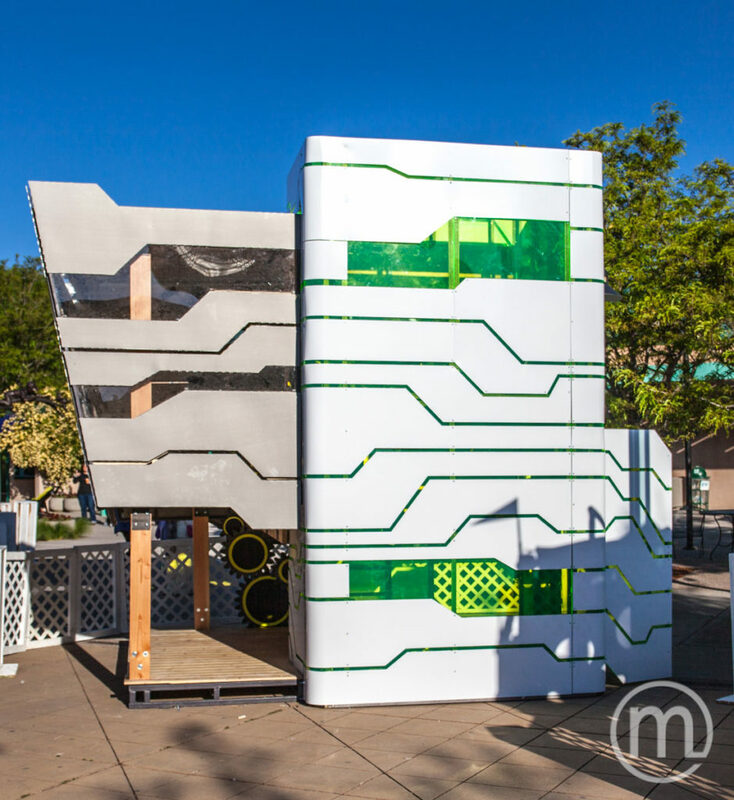 One of the design participants of the 2015 Parade of Playhouses were students from the University of New Mexico’s School of Architecture and Planning. The students completed two playhouses, one of which was the “Toy Factory” which utilized white Dibond aluminum composite material and zinc metal. 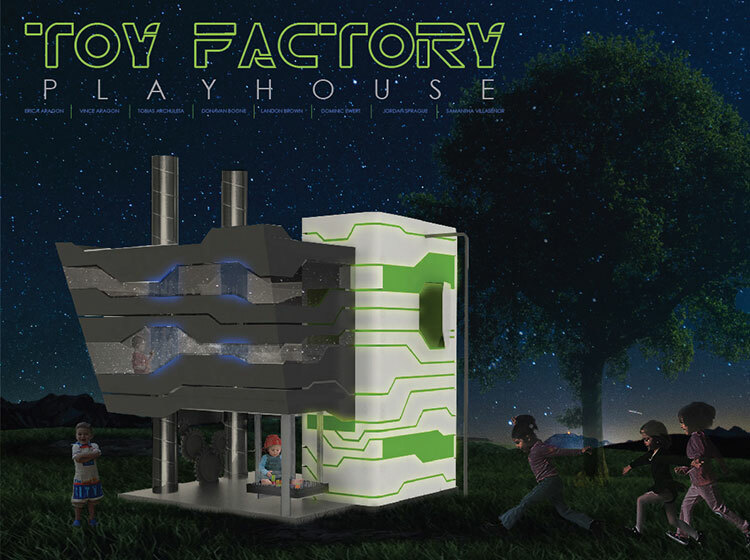 The design for the “Toy Factory” was inspired by the movie Tron. The futuristic tale encouraged the use of high tech materials, influencing the decision to create the playhouse with metal panels. “It is [Dibond] a material I knew was going to lend itself to the look the students were after. It’s very clean and was easily able to look space age or very high tech. It is an easy material to work with, easy to cut on the CNC router and a good material that can do a number of different things,” Gines explains. 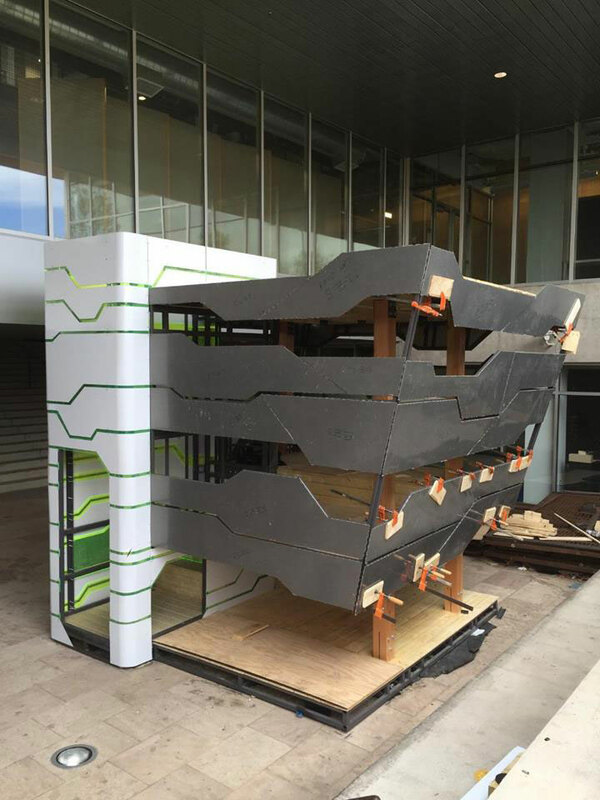 “Tron lines,” as Gines’ students referred to them throughout the project, were created with the clean cutting ability of the Dibond ACM. “Anytime you specify a product, you’re looking for some durability of course, and then some workability,” says Gines. Together, with experimentation and fabrication, the project utilized 20 sheets of Dibond aluminum composite.